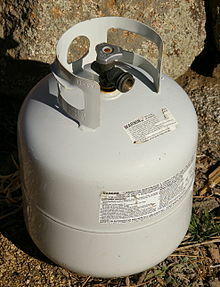 Propane was discovered by the French chemist Marcellin Berthelot in 1857. It was first identified as a volatile component in gasoline by Walter O. Snelling of the U.S. Bureau of Mines in 1910. Although the compound was known long before this, Snelling's work was the beginning of the propane industry in the United States. The volatility of these lighter hydrocarbons caused them to be known as "wild" because of the high vapor pressures of unrefined gasoline. On March 31, 1912, The New York Times reported on Snelling's work with liquefied gas, saying "a steel bottle will carry enough gas to light an ordinary home for three weeks".